ARCHIVE! This is the page for the 2018 TU TIKI FLEA TWO which will happen on June 2, 2018. 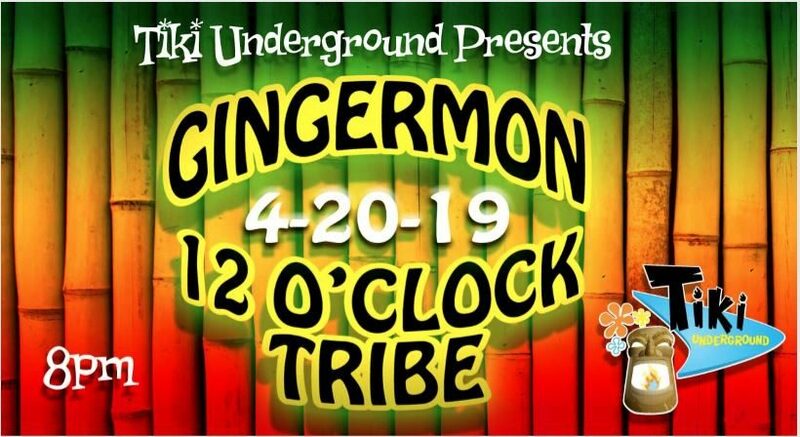 Tiki Underground hosted the first annual TU TIKI FLEA Saturday, July 15 from 1-6pm outside our location at 5893 Akron Cleveland Road in Boston Township. MAHALO to everyone who helped us with this wonderful event – see you next year! There was no charge for attendees and the event was kid friendly. Featuring 10-15 local artists and vendors, customers will also be entertained by DJ Max Payola and local surf rock band The Kahuna Kings with go-go dancers the Lava Ladies. If the weather doesn’t cooperate, TU TIKI FLEA will move indoors into the back room. We’re also going to collect food and cash donations for the Akron-Canton Regional Food Bank. Bring them with you to the event and we’ll take care of the rest. We will donate 5% of our profits from food and cocktails sold during the Flea. The Super Six most needed items are boxed cereal, peanut butter, canned tuna, canned vegetables, canned beef stew and canned soup. These are additional items that are needed but are less in demand. Learn more about the awesome vendors who will be at the TU TIKI FLEA – each name links to their Facebook page or eBay Store! Remember, some of these items may not be at our July 15 event, but it gives you an idea of what to expect. A trip down memory lane for the Monster/Weirdo, Model buildin’ Sci-Fi lovin’ Kid in all of us! All Orig. ART in EYE Ball BLAZIN’ COLOR! Coming to TU from Chicago!